First Kings of War is NOT Warhammer Light. It is not based on Warhammer. It was written by Alessio Calvatore, who wrote Warhammer 7th edition and many Warhammer army books. 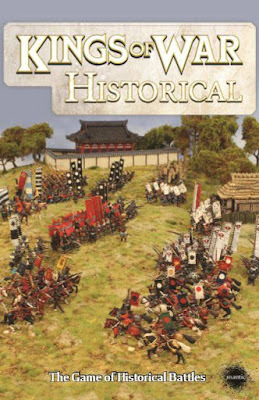 But Alessio also writes historical war games, and the idea of ranked of units has been around since H G Wells published “Little Wars” back in 1913. One major point is you can use ANY models you wish to play Kings of War. 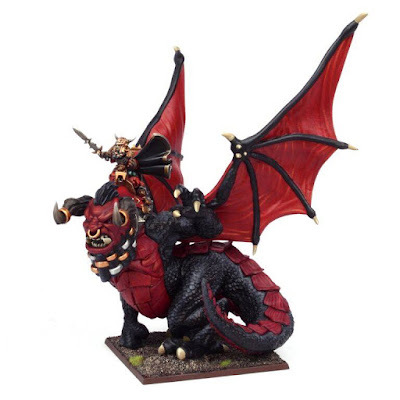 The only restriction on which models you can use is in official Mantic sponsored tournaments (such as the Clash of King championship), you must have a majority of Mantic models to win "Best Mantic Army" and "Best Mantic Hero" awards. Otherwise - use the models you want. A major difference between the systems is in KoW there is no model removal - units stay intact until they are routed. This makes the game faster, and allows you to multi-base your models as well. 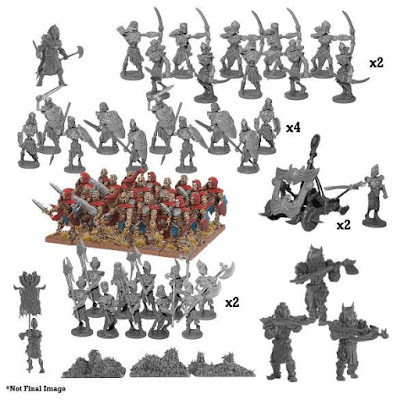 Most WFB players have seen armies with cool 'unit filler' such as skaven warriors with huge chunks of warpstone, or drunk dwarf warriors with dancing girls on a table. This is not only legal, but often encouraged. The unit is defined by its footprint, so long as that is correct the actual number of models doesn't matter. This also means that models are not hit points in Kings of War. You can actually never destroy a unit by killing all the models in it - you must ALWAYS rout them. 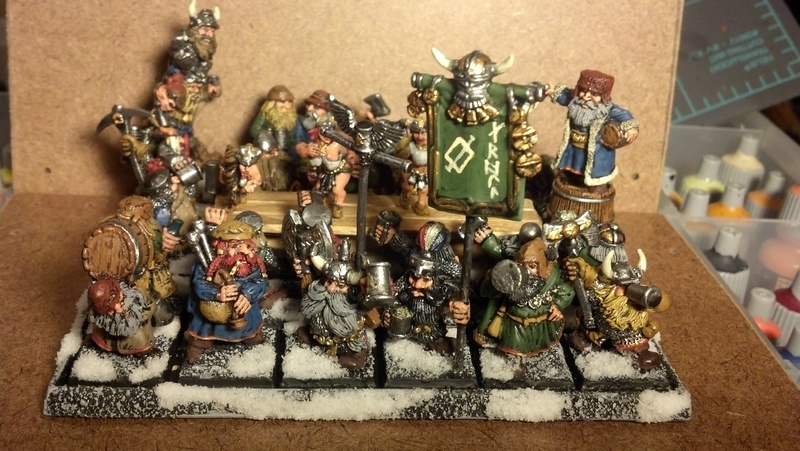 KoW is a unit based game, while WFB is model based. You can think of each unit in KoW as a multi-wound monster (with potentially infinite wounds (more on that in a bit)). Units are bought as such, not as models. You cannot add an extra model or two to a unit, nor can you change a units formation - they are all standardized and set. Most infantry is on 20mm bases, though there are a few (orcs, gargoyles, salamanders). Most large infantry is on 40mm bases, though Lesser Obsidian Golems and Molochs are on 50mm. Large cavalry is on 50mm or 50x100 mm bases. For monsters and war engines, they are on 50mm bases - though you can use larger bases if necessary (larger bases are more a disadvantage however). If you use a larger base for war engines, then you MUST mark the 50mm frontage on the model, as this is used for line of sight when firing the model (war engines DO NOT have 360 line of sight), and larger frontage would mean larger firing arc, so this must be marked. Heroes are separate units - they do not join other units. Yes, there is no imitative in Kings of War. You only fight on your turn. The game is designed so that you can play with chess clocks - you do not touch the dice when it is not your turn (this also means there are NO SAVES - sorry). While the stats are similar, they work slightly different. ME & RA do not depend on the target unit - so goblins hit everything on 5+, while ogres hit them on 3+. No more table looks ups, or double +1 - the value is set. DE is like Toughness - but it also includes armor (you will often see that options to exchange hand weapon and shield for two handed weapons - the DE goes down one and Crushing Strength goes up by one. There is no ST stat - you can thing of every model having ST 3. A model may have Crushing Strength(n) - this mean modify the would roll by n. In WFB terms - add n to the st of the model. So CS(1) -> ST 4, CS(2) -> ST 5. Piercing works the exact same way but is for ranged attacks, while Crushing Strength is strictly close combat. In addition certain unit, mainly cavalry, have Thunderous Charge(n). Think of this a strength bonus when charging (i.e. lances). It is lost when counter-charging, as well as when charging units behind obstacles or going through difficult terrain. There are no Wound limits on a unit - this is part of the NE stat. Same with Leadership. Attacks are for the entire unit, not per model in base to base. This is also used for range attacks, if the unit has them. You always roll this number of dice when attacking. There are some penalties to ME or RA. ME can take a -1 penalty during a hindered charge (which is going over an obstacle or through difficult terrain). RA has a -1 for moving, -1 for target in cover, and -1 if the target is an individual. There are also some special rules that can modify these as well (for example, a unit with "Stealthy" is at an additional -1 to hit with ranged weapons). If the modified value you need to hit is greater than 6, you then halve your number of attacks (rounded down) and hit on 6's. At the end of the shooting phase, and after each close combat, instead of taking a break check for your units, your opponent rolls a nerve check for each unit that suffered a wound in that phase. This is 2D6 + # accumulated wounds. This value is compared to the NE values for the target. Each unit has two NE values - wavering and routed. (If a unit has a ' - ' for wavering value then it cannot be wavered - think of these units as unbreakable). If the nerve check equals or exceeds the wavering value, then the unit is wavered. This is similar to fleeing (but there is no running away in Kings of War). Wavering lasts for the next turn - a wavering unit can only change facing or back up, and cannot shoot. If the nerve values meets or exceeds the rout value, then the unit is routed and removed from the table (it has broken). Units with the "Inspiring" special rule are like Battle Standard Bearers - if one is within 6" of a unit that is routed (9" if the unit has very inspiring) then your opponent MUST re-roll the nerve test. This only applies to rout results, not wavering. In addition, if you roll snake-eyes ( 1 - 1 ) then the unit is always steady, regardless of any modifiers. This does mean (and I've had it happen) where a unit can take more wounds than it has models and still not be routed. There is no automatic routing EVER. 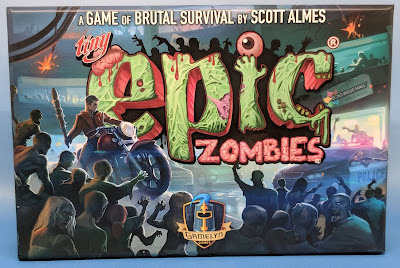 On the other hand, if you roll boxcars ( 6 - 6 ), then even if the unit is not routed (hordes have very high nerve values - often in the 20 - 22 range, with a zombie legion being 28 nerve!) it is AUTOMATICALLY wavered (unless it can't be, of course). People often ask how magic works. Magic is a shooting attack - sometimes the target is a friendly unit with it. A wizard can cast a single spell each turn. Each spell has a number with it - such as Lightning Bolt (3). That number is the number of dice you roll to cast the spell - you get a success on each value of 4+. The spell description then says what happens for each success. Again, using Lightning Bolt - each success is a hit on the target unit with Piercing (1). There are a total of six spells in the game, and each wizard will get one for free, and may purchase others. These are all listed in the units profile. (So Elf Mages get heal(3) for free, and may purchase Lightning Bolt(5) for 45 points (as well as other spells), while a Goblin Wiz gets Lightning Bolt(3) for free, and can purchase other spells (but does not have the option to purchase Heal at all). Terrain in Kings of War is broken into four categories. - Obstacles - just like obstacles in warhammer. These count as blocking terrain for war engines and units moving at the double. - Difficult terrain - This counts as blocking terrain for units moving at the double. It also provides cover. A unit can see over anything that is shorter than it. It can also see units that are taller than any intervening units/terrain. (i.e. cavalry can see over infantry but not over other cavalry. However they can see over another unit of cavalry to a large cavalry unit behind them). If a unit is at least half obscured by anything that is 3 levels smaller (or higher) then it has cover. So cavalry will get cover from infantry, but monsters will NOT. Terrain should all have a defined height. Generally forests are height 4. Obstacles are height 1 (but do not block line of sight). Hills generally should be as high as they are in inches. So a 2" high hill would be height 2. Units of hills add the hills height to their own for line of sight purposed. The center of the front of each unit is called the Leader Point (because units often have a leader in the center). This is where most measuring and line of sight is taken from. Measuring can be done AT ANY TIME during the game. In almost all cases, you measure distance from the leader point of the unit to the closest point of the target (inspiring is an exception - it is from closest point to closest point). Each turn has three phases - movement, shooting and close combat. Movement is similar to WFB - however there are not separate phases. You do not declare nor move chargers first. You move each unit in any order you wish. This means you won't have a unit blocking a charge, because you can always move them before your charge in (this is a common mistake made by warhammer players - but usually only once). Units do not wheel when moving, they pivot (again. like multi wound monsters) around the center of the unit. This pivot does not cost movement, but a unit is restricted in how many times and when it can pivot. If a unit has the "Nimble" special rule, then it can ADD a pivot to any order except Halt. Units can move through friendly units except when charging. They must, of course, end their move clear of other units. Units must stay 1" away from enemy units at all times except charging. When pivoting, a unit can pivot through anything (other units, blocking terrain, even the table edge) so long as when the pivot is complete, the unit is clear. So you cannot move a chaff unit up to block a unit from moving - they can just pivot through them, so long as at the end of the pivot, they are clear of the chaff unit. must be able to physically fit the unit into base to base contact with the target. If these are all met, then you move the charging unit by the shortest path into contact with the target. You are allowed 1 pivot at any time during this move to go around any intervening units / blocking terrain. You cannot use the pivot to avoid obstacles or difficult terrain however. After contacting the unit you then align the charging unit with the side of the unit, and shuffle it sideways to center the units up. Multiple units charging a single unit move a the same time, but cannot cross paths. The split the frontage on the unit as evenly as possible. Corner to corner charges are NOT allowed. If a unit was charged in the previous turn by their opponent (and is not wavered (unless the unit has the Fury special rule)) then the unit can always counter-charge ANY unit that charged it, even if they cannot see the unit (they know they are there). If counter-charging to the flank or rear, simply pivot your unit and charge the target. The restriction here is the unit MUST be able to fit after pivoting - so a horde charged in the front, rear and flank can counter-charge the front or rear, but not the flank because it cannot fit. If the unit charged through difficult terrain, or over an obstacle, then it is hindered. It is -1 to hit that round, and loses Thunderous Charge. When counter-charging - all terrain is ignored, however you never get Thunderous Charge when counter-charging. the unit moved "at the double"
long rifles, heavy crossbows - 36"
bows, crossbows, rifles - 24"
harpoon guns, carbines, firebolts - 18"
pistols, javelines, thrown weapons, breath attack - 12"
exceptions will be listed in the special rules for the unit (i.e. dwarf organ gun 24", not 48"
As mentioned before, there are three modifiers for shooting - target in cover, target is an individual or shooter moved. Roll your AT dice and each success based on your RA with modifiers hits, then roll to wound against the targets DE, modified by any Piercing value. Add any new wounds to the accumulated wound total on the unit. The final phase is close combat - all units that charged now fight in combat. If they were hindered they take a -1 penalty - otherwise they roll their number of attacks against their ME value. Successful hits then roll to wound, modified by Crushing Strength as well as Thunderous Charge (unless hindered or disordered). Again add any new wounds to the accumulated wound total on the unit. If multiple units charged a single unit, all of them fight. After each combat roll against the target nerve. If the nerve check does not rout the unit, then all chargers move straight back 1". If the target unit took any wounds, it is now disordered (i.e. it cannot shoot next turn, and loses thunderous charge (if it had it) next turn). After all combats are complete, it is then the opponents turn. Games last for 6 turns for each player. At the end of the last turn, the player rolls a D6 - on 4+ you get an optional 7th turn each. There are six scenarios in the rule book - the kill scenario is in the free rules - which is to rout 10% more than your opponent. Army composition rules are simple. For each regiment (see the unit size block above) in your army, you can take two troops and one hero or war engine or monster. For each horde (or legion) you may take four troops and one hero, one war engine AND one monster. Each army has an alignment - you may take allies (up to 25% your total army value), but good may not align with evil (everyone can align with neutral). Main list regiments do NOT unlock allies units, nor do allied units unlock main list units - if you want an allied hero you must take an allied regiment (or horde or legion) to unlock him. Also you may not take allied living legends (special characters - marked with a  on the army lists). Units (except for Monsters and war engines) may each take a single magic artifact. Some are restricted to only heroes. One thing Mantic is doing to encourage everyone to play Kings of War is creating a supplemental army list book for armies that Mantic does not make models for. These cannot be 1-1 mappings (and play style can be completely different), but will allow you to use the majority of your models in Kings of War. In addition, so long as the unit footprint is correct, "counts as" units are always welcome (so while there is no entry for something like an Aracharnok Spider in the orc list, you could use it to "count as" a krudger on slasher). Here are the warhammer armies than their Kings of War equivalent. 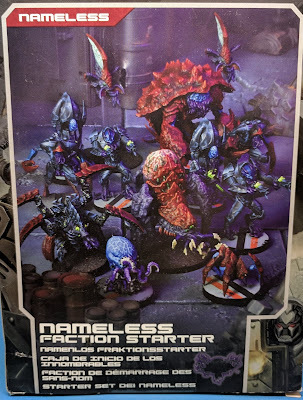 The ones with Mantic models are in the main rule book (available as a softbound gamer's edition with rules and army list (no background), or the beautiful full color hardback book). 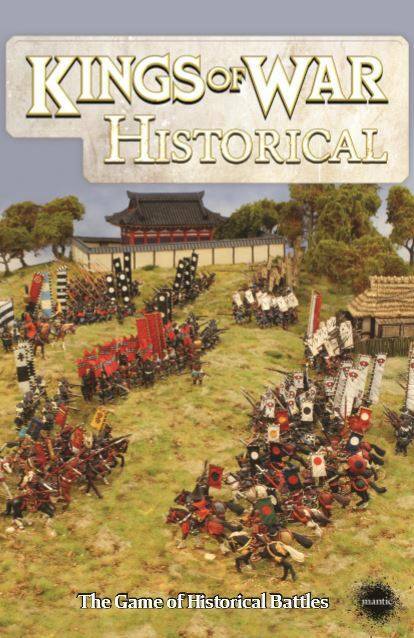 Mantic is also currently playtesting an additional book that will contain army lists for those armies they do not make, a book of historical army lists and another supplement for three new armies (though this is the furthest off). In addition there will be a world-wide campaign this summer, and Mantic promises that the results will affect the world of Mantica (so does the Abyss spread further as evil takes over, or is is even more contained with the forces of good triumphant. The players and games will decide!). (Note - The first supplement - Uncharted Empires, was released 11/23/15). So download the base rules and give it a try. The free army lists are samples for each army - not every unit that is in the full rule books, but definitely enough to try the game. Build some lists and give it a try. While the rules are simpler than WFB, the tactics are not. Movement is key to this game, and heroes are there to support your troops. Good stuff buddy. i have shared this with my gaming group. nice one. Hello. It is a very good summary for the new players of Kings of War. Thank you for your work. Greetings from Spain. Nice write up. I enjoy KoW. My biggest concern for WFB players coming over is that KoW can seem somewhat bland in comparison. I have heard from WFB players before that all the lists in KoW seem the same. However once you start playing the game I don't find this true at all. Yes, you know what heavy cav is going to do, but its role in different armies is different. I like having a good idea what everything on the table is capable of - it moves the game from being about meta list building to actual strategy and tactics on the tabletop. Great article, thanks! I'm definitely going to test KoW! If Shieldwolf manages to pull out a decent KS-2 (and not mess it up like KS-1) gaming-wise speaking they should easily overpower Mantic and have people switching from Warhammer over to War is Coming. I'm one of the playtesters and this is much closer to what a warhammer player would be looking for. They do have this strange idea that they must first complete their first KS before launching the second. Here goes another golden opportunity for them. Down the drain. Great write up that I really enjoyed reading. Have shared it on my own blog as well. Nice work. Great article. Thanks - and added to the Lost Lands Blogroll. I found this very useful. Cheers.